Greetings from Berkeley. 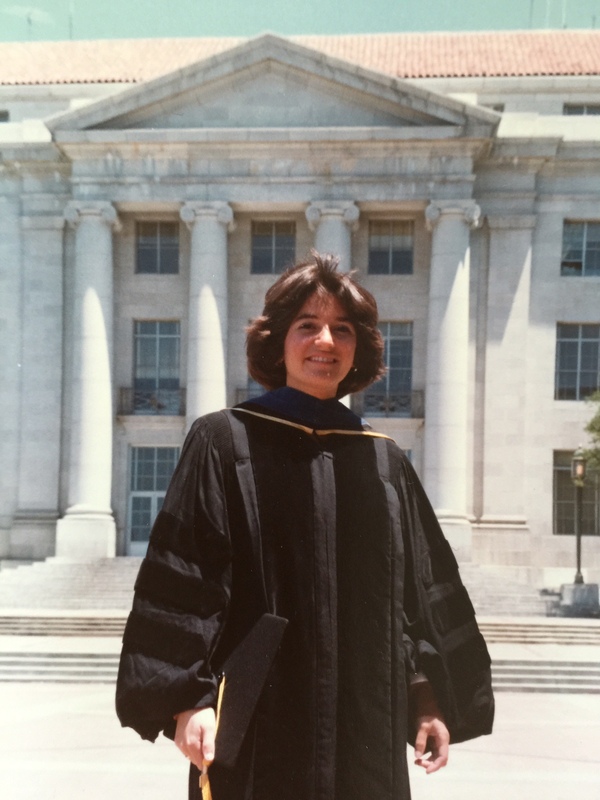 This month we feature I-House alumna Kathryn Anthony (IH 1976-1979) for our Where are they now series. Highlights from our interview are below. Hint: This school has produced some of the most amazing visionaries in tech, including Oracle’s Larry Ellison, PayPal’s Max Levchin, Tesla’s Martin Eberhard, Netscape’s Marc Andreessen, and YouTube’s Steve Chen and Jawed Karim. LF: Kathryn, it is a pleasure to meet you. Can you start by sharing your background and journey to Berkeley? Kathryn: I was born in New York City, lived there and in Leonia, NJ as a child, moved to La Jolla, California as a teenager, moved to Berkeley and San Francisco for college and graduate school, teaching at San Francisco State and working in architectural and planning offices, then on to Orange County and Los Angeles area for my first faculty position at Cal Poly Pomona, after which I moved to Champaign-Urbana, Illinois, where I have been ever since, with summers spent back with family in La Jolla. My parents, Harry and Anne Anthony, first encouraged me to move into International House and I am always grateful for that. Fortunately they are both still in very good health well into their 90’s. La Jolla’s perfect weather and beautiful Pacific coastal scenery are the best vitamins for all of us. I enjoy spending time with them there whenever I can. I lived in Berkeley from 1974-1979 and lived at I-House 1976-1979. I earned my Bachelors degree in Psychology in 1976 and Ph.D. in Architecture in 1981. Whenever I visit I-House, I always make a detour to walk by my old rooms: #762 faced the San Francisco skyline and the Golden Gate Bridge and #700 faced south towards the Oakland hills. During my three years of residence, I never drew my window shades and every day felt so lucky to be able to enjoy the million dollar views! LF: I-House does have incredible views. How has your I-House experience shaped your view of the world or different cultures? Kathryn: It is important to recognize that the USA is not the center of the universe, as so many Americans believe. Living at I-House helped me navigate the global crossroads of my personal and professional life and to appreciate diverse perspectives that people from different cultural backgrounds have to offer. My experience at I-House had a profound and transformative impact on me in many ways. During the three years I lived there, I worked as both an Information Desk Assistant and a Graduate Resident Assistant. I chose I-House as the subject of my Ph.D. dissertation, “International House: Home Away from Home?” (1981). 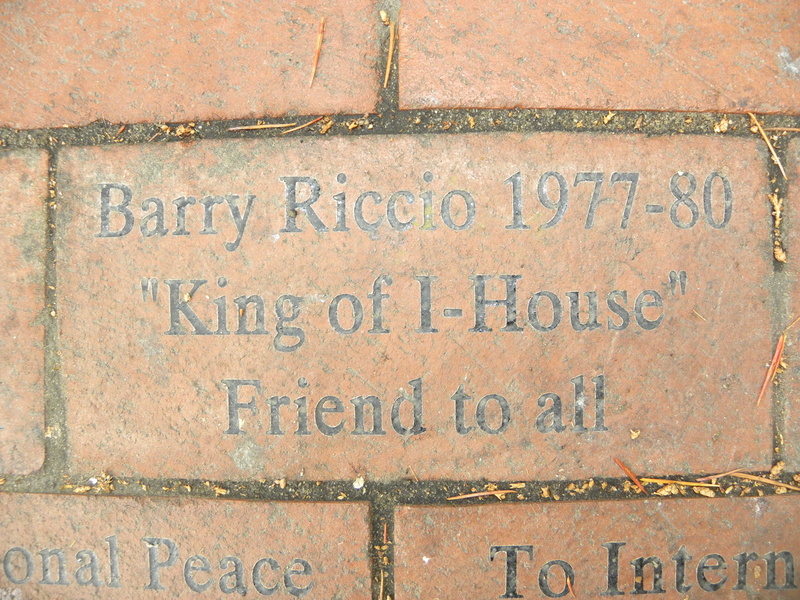 I even met my future husband there—Barry Riccio, (IH 1977-80), nicknamed “King of I-House” (who passed away in 2001). I made many lifelong friendships there, some of whom are still my very best friends today. LF: I would love to see that dissertation sometime! How did you and Barry meet at I-House? Kathryn: Barry and I met at the I-House Dining Room in 1977. Our mutual friend, Barbara Oberto (IH alumna), then a colleague in Barry’s history department, introduced us. Barry had a rather huge pile of food on his tray. He had a voracious appetite. He and I were both very sociable types and always enjoyed lively conversations during meals with students from all over the world. LF: What were some of your favorite memories? Kathryn: One of our two wedding receptions was held in the I-House patio. Preparing for this interview prompted me to rediscover long-lost photos from that event, bringing back many great memories of good times spent in Berkeley. Below are just a few photos of our time at International House, our wedding reception in the patio, and my graduation. 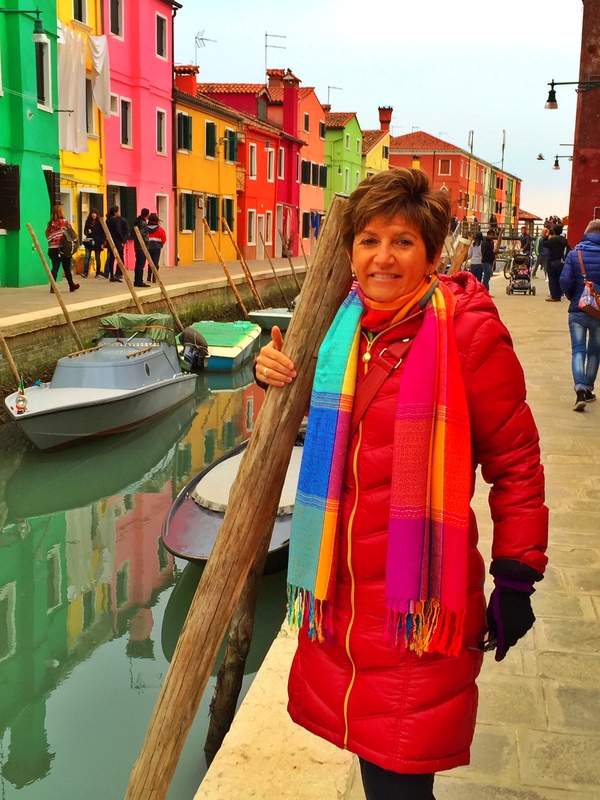 Like most I-House alumni, international travel has always been an important part of my life, and I will always have a travel bug. I grew up in a Greek-American family and was fortunate enough to travel to Greece numerous times as a little girl. I have now visited Greece 10 times. At last count I have made 31 trips abroad. 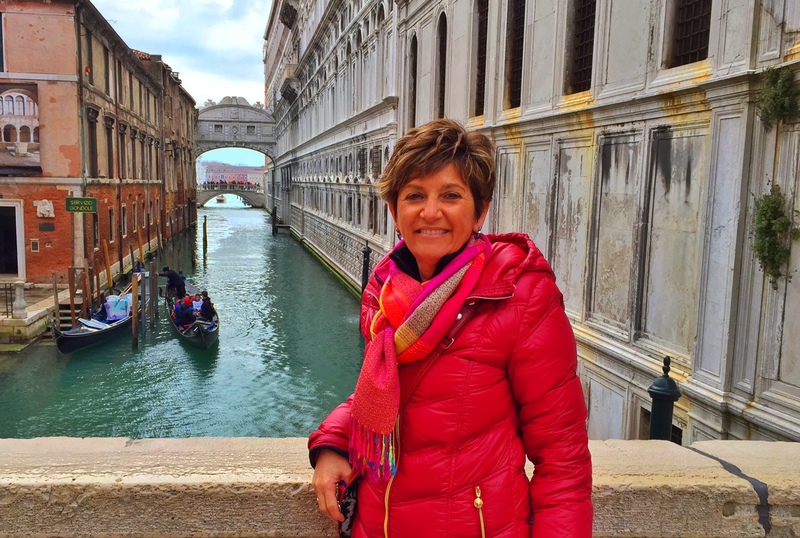 In recent years I have made several visits to Venice, Italy. From the minute I arrived, its beautiful architecture, landscape, sculpture, art, and music cast its magic spell on me. Many of my travels involved meeting I-House alums. My visit to Japan was courtesy of my friends Mike Trenary (IH 1977-78) and Wendy Greenhouse during one of their sabbatical years there; my visit to Milan, Italy was to see longtime friends Marc Lutolf (IH 1978-80) and Connie Carroll-Lutolf who was a good friend of mine from high school. My trip to Australia and New Zealand was with my good friend and travel partner Colleen Casey (IH 1977-79), and I’ll always remember running into Rocky Nevin (IH 1976) by surprise in the former USSR. I am still in touch with longtime I-House friends Eric Schmidt (IH 1976-80) and Wendy Schmidt (IH 1978-80) who have both gone on to stellar careers. LF: Did your experience at I-House help your career search in any way? Kathryn: It provided an excellent backdrop to my professional experiences teaching, researching, and writing about diversity and multi-cultural issues in architecture. I have scores of international students and always have a special place in my heart for them. LF: What is your role now? Kathryn: I am a Professor of Architecture at the University of Illinois at Urbana-Champaign. Hard to believe, but I am now the longest-serving female faculty member in the history of the School of Architecture, having taught there for 31 years. I have enjoyed teaching generations of students who have gone on to lead successful careers as architects and designers in the US and around the world, and I love keeping in touch with alumni from afar. I have written three books, Design Juries on Trial: The Renaissance of the Design Studio; Designing for Diversity: Gender, Race and Ethnicity in the Architectural Profession; and Running for our Lives: An Odyssey with Cancer (co-authored with Barry Riccio, my late husband (IH 1977-80), and several book chapters and journal articles. I’m currently working with a literary agent on my fourth book and hoping to publish it with a commercial press. I also developed two iOS apps: Student Survival Guide and Design Student Survival Guide. Plus as Co-Chair of our University of Illinois Provost’s Gender Equity Counsel I co-designed a universal design podium that has been installed in several locations on our campus. It accommodates speakers of all shapes and sizes, empowering shorter speakers who are often disadvantaged by design. 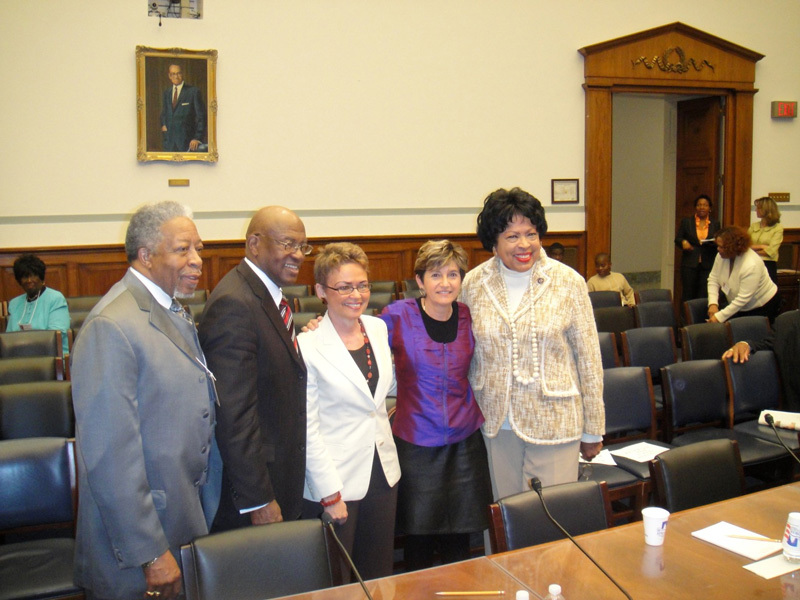 One of the highlights of my professional career was my testimony before the Committee on Oversight and Government Reform at the US House of Representatives concerning HR 4869, the Restroom Gender Parity in Federal Buildings Act, in Washington DC in 2010. That testimony called for equal or greater number of fixtures for women’s restrooms in new and newly remodeled federal buildings. Another highlight was being selected as the quotation for the day for the New York Times (April 13, 2009), advocating for more restrooms for women in stadiums, theaters and concert halls: “Until relatively recently, most architects, contractors, engineers, building-code officials and clients were not concerned about this issue.” It has been my privilege to serve as an advocate for women, men, and families about the need to improve public restrooms around the world. LF: Your accomplishments are impressive and inspiring. What is your favorite way to stay connected to I-House? Kathryn: I enjoy the I-House blog and Facebook page. I am an active Facebook user and try to post at least a photo a day as a gift to my friends. However, my favorite way to stay connected is to come back and visit. Maintaining contact with friends and I-House alumni has always been important to me. I met the most amazing group of friends while living there and wouldn’t trade that experience for the world. LF: What was it like coming back to Berkeley? Kathryn: I have returned to Berkeley many times since I graduated back in 1981. I am constantly drawn to Berkeley as I still have so many friends in the Bay Area that have become like family to me. The Bay Area will always feel like home. My most recent visit was in summer 2014 to celebrate the 80th birthday of my former advisor, Clare Cooper Marcus (also an IH alum – 1962). My good friend, Amita Sinha (IH 1984-88), longtime Professor of Landscape Architecture at the University of Illinois at Urbana-Champaign, joined me for this trip. We had a wonderful time reconnecting with two of our former professors there and made a pilgrimage to I-House that weekend. During my visit last summer two of my I-House friends, Kate Harrison (IH 1977-79) and Dean Kardassakis (IH 1977-80), organized special dinners in my honor that proved to be among the highlights of my year. In 2008 I-House alumna Maura Mack (IH 1976-78) and I organized a reunion with 1976-80 I-House alumni, including eating Dim Sum in San Francisco, a walking tour of campus, and brunch at I-House. It brought together 35 alumni from across the globe. LF: What are other ways I-House friendships impacted your life? The patio brick that my friends dedicated to my late husband. Even though it’s been over 35 years since I lived there, I-House continues to spread its influence around my world today. At the University of Illinois at Urbana-Champaign, where I work, my good friend Bruce Hajek (IH 1977-79) has long been one of the leading faculty in electrical engineering; he was my only friend on this campus before I moved here. My Urbana neighbor across the street who passed away a number of years ago, Ken Rinehart (IH 1951-52), was a world renown professor of chemistry who had also lived at I House. 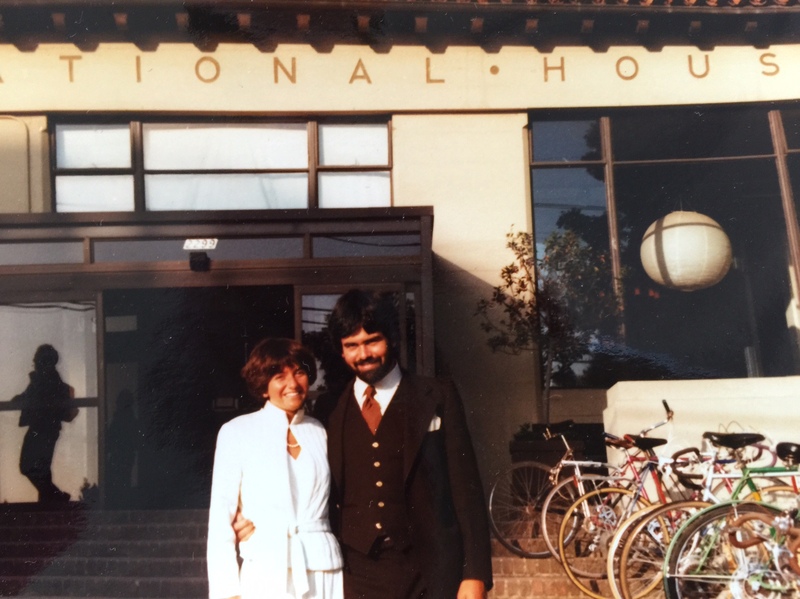 The Dean of our College of Engineering, Andreas Cangellaris (IH 1981-83), then a graduate student from Greece, and his wife Helen Baheri (IH 1981-82) also met at International House. And our Provost, Ilesanmi “Ade” Adesida (IH 1971-72) is yet another IH alum, then an undergraduate and graduate student from Nigeria. LF: Is there anything else you’d like to share? Kathryn: I often say that if our world leaders had an opportunity to live at I House during their formative years, we would have more peace and fewer wars. From the day you arrive and throughout your life, your experience at I-House is your special passport to the globe. Although we may have lived at I-House at different times, each of us share a special bond, much like those who shared the same fraternity or sorority experience. Only in our case, it is an intense multi-cultural immersion experience that impacts you for a lifetime. You just never know where I-House alumni may end up, so my advice to current residents: long after you graduate, definitely stay in touch. And take a good look around you wherever you are. You may be surprised to find a touch of International House right in your own backyard. LF: Kathryn, we are lucky to have alumni like you who embody the values of I-House throughout your life. Your I-House bonds have certainly endured through life’s challenges and successes. Thank you for sharing your stories and digging up those long-lost photos! I look forward to seeing you next time you are in Berkeley. If you are an I-House alum and would like to be featured in our Where are they now series, email lferris@berkeley.edu or call (510)643-7735. Video format messages are welcome. This entry was posted in I-House Alumni and tagged alumni, where are they now?. Bookmark the permalink. A terrific interview — wonderful testimony of I House’s influence on Kathy Anthony, one woman — but typical of so many hundreds of people who have lived under our dome. Thank you, Laurie. Thank you, Kathy. Thanks Susan! Glad you enjoyed it. Indeed, there are many great I-House stories to share.